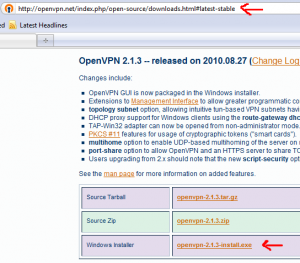 These are the manual instructions for installing and configuring OpenVPN client. 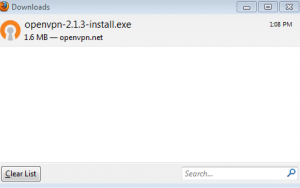 After having many problems over the years with openvpn gui breaking, I have devised a reliable work around. Create the following batch script, name it something like ovpnConnect.bat, and right click to “Run as Administrator”. 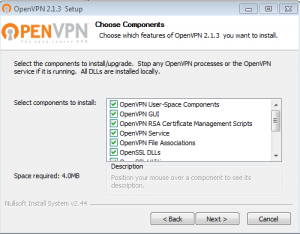 This does require the openvpn gui from openvpn.net to be installed. 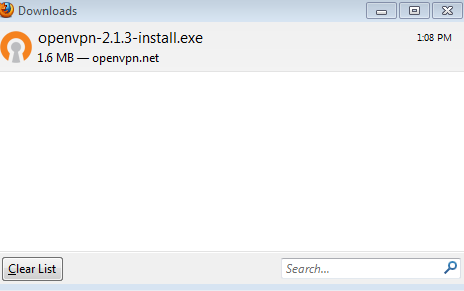 It calls the openvpn.exe. You can also add multiple vpn client connections! 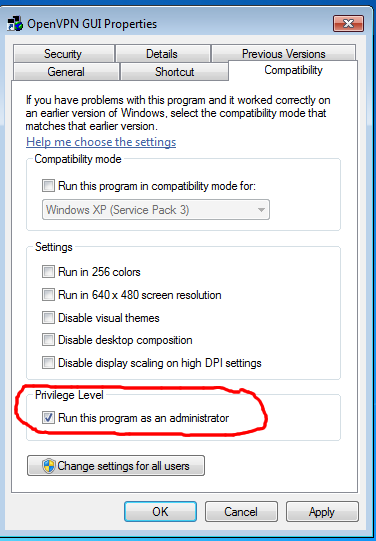 echo Failure: Please right click and "Run as administrator"
Leave the components section as default. 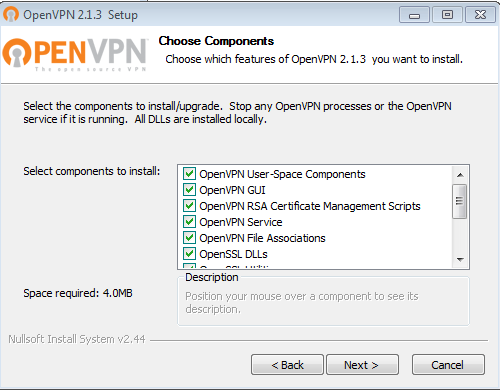 Now you can launch OpenVPN GUI by double clicking the icon on the desktop (the one we just set to run as admin). 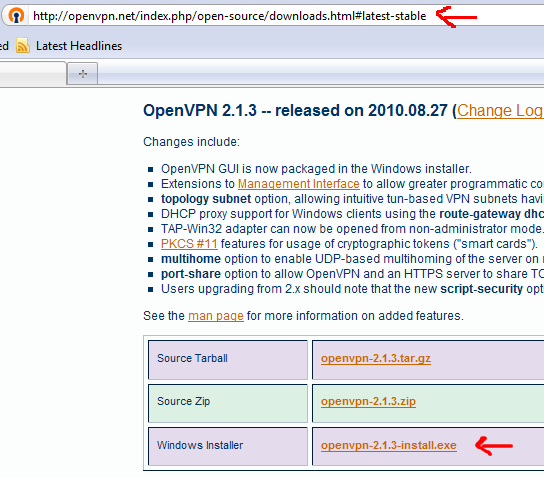 This will launch the OpenVPN GUI into the system tray. 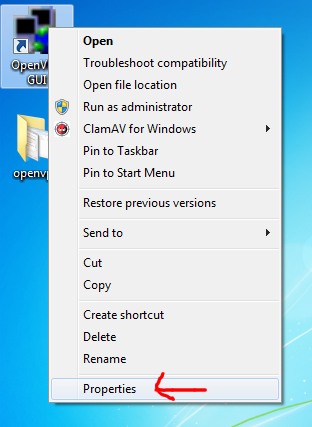 Click on system tray, right click on OpenVPN GUI, left click “Connect”. If all goes well, you will successfully connect. The OpenVPN GUI systray icon turns green. 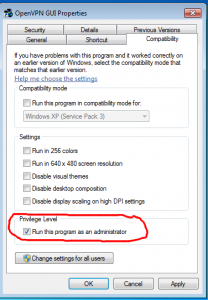 Now you are on the Virtual Private Network!